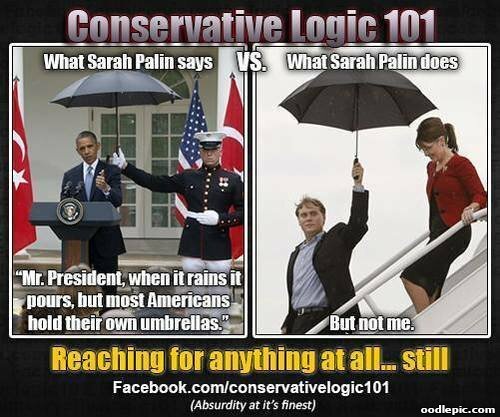 Sarah Palin Says: Mr. President, when it rains it pours, but most Americans hold their own umbrellas. What Sarah Palin Does: But not me (someone holds her umbrella). Reaching for anything at all... still.